FIA WEC GTE Am team Clearwater Racing, has announced that it will return to Blancpain GT Series Asia this year with its McLaren 570S GT4 for drivers Richard Wee and team owner Weng Sun Mok. The addition of the highly-successful Asian Le Mans Series title-winning team brings the total number of confirmed GT4 manufacturers to three after Craft-Bamboo Racing, Taiwan Top Speed and TTR Team SARD all announced their return with Porsche Cayman Clubsport MRs, while Team Studie will also debut BMW’s new M4. 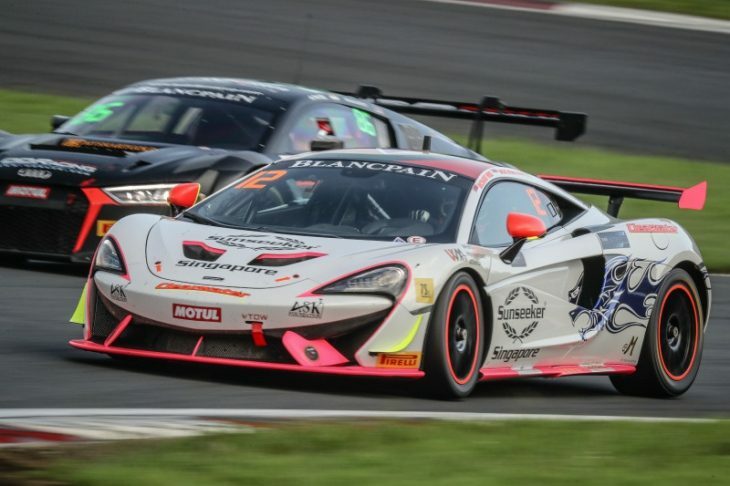 Last year the team competed in the Blancpain GT Series Asia opener with its 650S GT3, though it suffered a heavy shunt during the weekend, forcing the team to withdraw. Later in the year, it returned with a brand new 570S GT4 at Fuji where Wee and Mok claimed two pole positions and wins on the car’s series debut. Both drivers are confirmed for Sepang before personal commitments dictate the team’s plans thereafter. “We watched the GT4 class grow in stature throughout 2017 and believe now is the right time to commit to a full-season entry,” said Clearwater Racing’s managing director Arj Kulasegaram. This season’s Blancpain GT Series Asia season begins on April 14/15 at the Sepang International Circuit.